a post designed primarily to counteract the republican-spin-machine on scooter libby’s sentencing process. . .
patrick j. fitzgerald’s sentencing memo. singled-out, etc., etc. . .
the “why bring this case?” question. than the ones offered by team-fitz. On March 6, 2007, following a month long trial, a jury convicted defendant I. Lewis Libby of one count of obstruction of justice. . .
III Response to Certain Arguments in Mitigation. . .
. . .[On] Mr. Libby’s behalf his supporters have submitted to the probation office and the Court a variety of arguments challenging the propriety of his prosecution. These arguments for leniency paint Mr. Libby as the victim of an improper, unnecessary, and politically motivated investigation, an unfair indictment, and a wrongful conviction. These arguments mirror comments made by the defense’s public relations team and posted on the defense website, http://www.scooterlibby.com, before, during and after the trial. The submission of these arguments on Mr. Libby’s behalf is well known to Mr. Libby and his attorneys, and while they have not to date explicitly embraced these arguments, neither have they disavowed them. The government submits that these arguments are completely at odds with the kind of contrition that normally is a pre-condition to leniency. We address the lack of merit of these arguments in the event the defense presses such arguments as supporting a lenient sentence. . .
Others of Mr. Libby’s friends and associates interviewed for the Presentence Investigation Report assert that his prosecution was unwarranted, unjust, and motivated by politics. [Remainder of paragraph redacted and filed under seal.]. . . However, some of those who spoke to the Probation Office on Mr. Libby’s behalf advocate that his service in the public sector should excuse him from imposition of any punishment for his crimes. [Sentence redacted and filed under seal.] It is worth placing such suggestions in context by noting that there are many others who have served the nation at great personal hardship, the overwhelming majority of whom are of considerably less means than Mr. Libby. Yet we would not be prepared to excuse those who served in the FBI, the CIA, the military or the Peace Corps if they were found to have perjured themselves and committed obstruction of justice during a criminal investigation of a national security matter. We should not apply a different set of rules to Mr. Libby because he served in the White House. . . The argument that Mr. Libby is an innocent wrongly charged because it was known early in the investigation that others had leaked the identity of Valerie Wilson overlooks critical facts as well as the jury’s carefully reasoned verdict. First, the evidence at trial proved that Mr. Libby was guilty, not innocent. Mr. Libby learned about Ms. Wilson’s CIA employment in June 2003 directly from the Vice President, as well as from senior government officials from both the State Department (Marc Grossman) and the CIA (Bob Grenier) and Cathie Martin, who handled public affairs for the Vice President. The evidence showed that Mr. Libby was aggravated about Ambassador Wilson and paid exceptionally close attention in June and July 2003 to media stories about Mr. Wilson. Mr. Libby disclosed information about Ms. Wilson’s employment to Judith Miller on June 23. Following Ambassador Wilson’s Op Ed in the New York Times on July 6, 2003, Mr. Libby inserted himself even more in the press response to Mr. Wilson. On July 7, he disclosed the information about Ms. Wilson’s CIA employment to Ari Fleischer, then the White House press secretary, in what Mr. Fleischer described as a “weird lunch.” The next morning, Mr. Libby disclosed the information about Ms. Wilson’s CIA employment again to reporter Miller. Mr. Libby provided information about Mr. Wilson and Ms. Wilson on the condition that any attribution disguise him as a “former Hill staffer.” Later that week, Mr. Libby confirmed the information about Ms. Wilson’s CIA employment to reporter Matt Cooper, who had first learned the information from Karl Rove. The evidence at trial further established that when the investigation began, Mr. Libby kept the Vice President apprised of his shifting accounts of how he claimed to have learned about Ms. Wilson’s CIA employment. . .
Second, it is undisputed but of no moment that it was known early in the investigation that two other persons (Richard Armitage and Karl Rove) in addition to Mr. Libby had disclosed Ms. Wilson’s identity to reporters, and that Messrs. Armitage and Rove were the sources for columnist Robert Novak’s July 14, 2003 column, which first publicly disclosed Ms. Wilson’s CIA affiliation. The investigation was never limited to disclosure of Ms. Wilson’s CIA affiliation to Mr. Novak; rather, from the outset the investigation sought to determine who disclosed information about Ms. Wilson to various reporters, including – but not limited to – Mr. Novak. From these facts, it is argued either that the entire investigation should have been quickly terminated or that it was inappropriate that at the end of the investigation only Mr. Libby was charged. . .
[I]t remained to be determined whether the accounts of various persons who disclosed the information to the media were truthful, and, if not, whether any false statement made could be proven to be intentionally false. In that vein, it became apparent at an early stage of the investigation that Mr. Libby’s account was sharply contradicted by the accounts of other witnesses, most notably Tim Russert. The investigation thus appropriately continued for several months after the October 2003 disclosures by Messrs. Armitage, Rove and Libby, under the direction of then Attorney General Ashcroft, until late December 2003 when Special Counsel was appointed. The investigation then continued for the same reasons. It also bears note that although certain of Mr. Libby’s supporters have suggested that it was improper for the investigation to continue without publicly disclosing what Mr. Armitage, Mr. Rove, and Mr. Libby admitted in interviews or before the grand jury, maintaining the confidentiality of witness statements and testimony was not only required by law, but was an appropriate and routine investigative practice that protected witnesses’ privacy, reduced the risk that witnesses would influence each others’ recollections and testimony, and protected the reputations of uncharged persons. 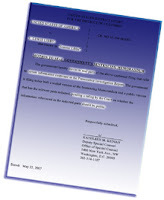 To accept the argument that Mr. Libby’s prosecution is the inappropriate product of an investigation that should have been closed at an early stage, one must accept the proposition that the investigation should have been closed after at least three high-ranking government officials were identified as having disclosed to reporters classified information about covert agent Valerie Wilson, where the account of one of them was directly contradicted by other witnesses, where there was reason to believe that some of the relevant activity may have been coordinated, and where there was an indication from Mr. Libby himself that his disclosures to the press may have been personally sanctioned by the Vice President. To state this claim is to refute it. Peremptorily closing this investigation in the face of the information available at its early stages would have been a dereliction of duty, and would have afforded Mr. Libby and others preferential treatment not accorded to ordinary persons implicated in criminal investigations. . . Finally, the suggestion that there is something unusual or inappropriate about pursuing a prosecution for a crime of obstruction where the underlying crime is not prosecuted is a red herring (and oddly suggests that Mr. Libby’s prosecution would not have been “wrongful” if only the government had brought more charges against him or others). Such perjury prosecutions are hardly unusual [ed. note: citing cases re perjury obstructing investigations]. . . In light of the foregoing, the assertions offered in mitigation are consistent with an effort by Mr. Libby’s supporters to shift blame away from Mr. Libby for his illegal conduct and onto those who investigated and prosecuted Mr. Libby for unexplained “political” reasons. The assertions provide no basis for Mr. Libby to receive a reduced sentence. The record should be clear that the grand jury investigation was conducted fairly and in appropriate secrecy; Mr. Libby had ample legal resources and talent available to him to raise all appropriate legal challenges and mount a legal defense; the Court provided Mr. Libby substantial opportunity to follow through on the defense he proffered; and the jury carefully and dispassionately weighed the evidence over the course of many days and convicted on four counts and acquitted on another. While the disappointment of Mr. Libby’s friends and supporters is understandable, it is inappropriate to deride the judicial process as “politics at its worst” on behalf of a defendant who, the evidence has established beyond a reasonable doubt, showed contempt for the judicial process when he obstructed justice by repeatedly lying under oath about material matters in a serious criminal investigation. . .
this is simply outstanding advocacy. and the analysis is flawless. . .